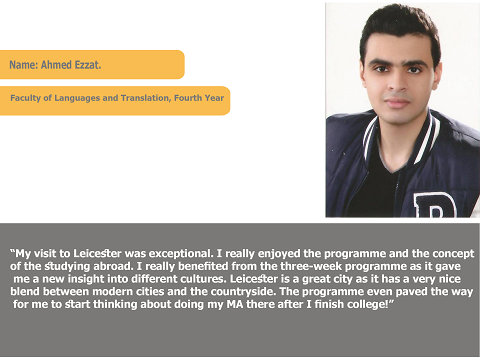 The English Language Centre (ELC) is successfully organizing a three-week language course at the University of Leicester in the United Kingdom in summer 2018 for the fourth year. The course aimed at PUA medical students, engineering students and general English students from different faculties such as: Dentistry, Allied of Medical Sciences, Physical Therapy, Pharmacy, Languages and Translation, Arts and Design and Media. It is designed to improve general, engineering-specific and medical-specific English. 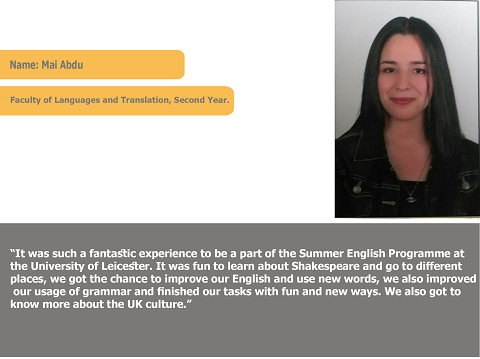 The English for Medics Summer School is ideal for medical students who want to improve their English for their professional use as in a hospital or a clinic. For more details about the Medical Course in the UK, press here. It also targets students who are enrolled in the General English Summer Program who want to overcome the language barrier by enhancing their conversational skills and to achieve fluency. For more details about the General English Course, press here. 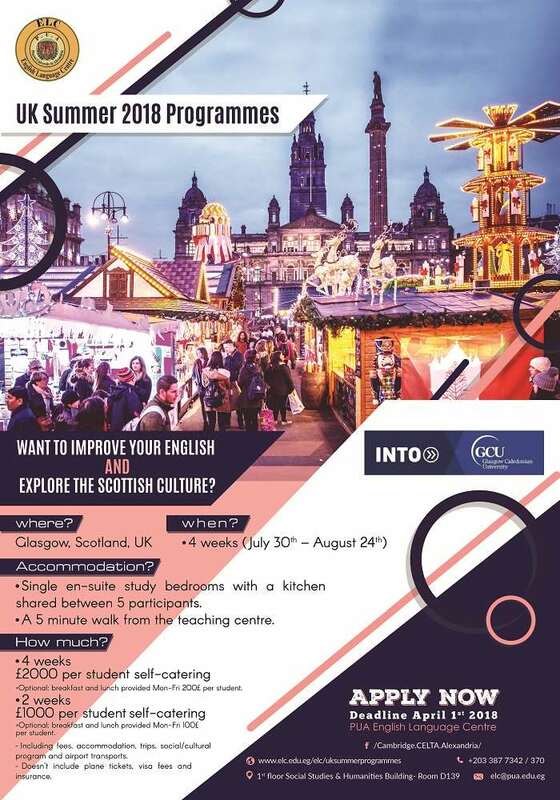 NEW: The Leicester Discovery International UK Summer Programmes is aimed at students of all disciplines who wish to experience a taste of studying at a British university whilst learning about life in the UK and improving their English and academic skills. For more details about the Leicester Discovery International in the UK, press here. 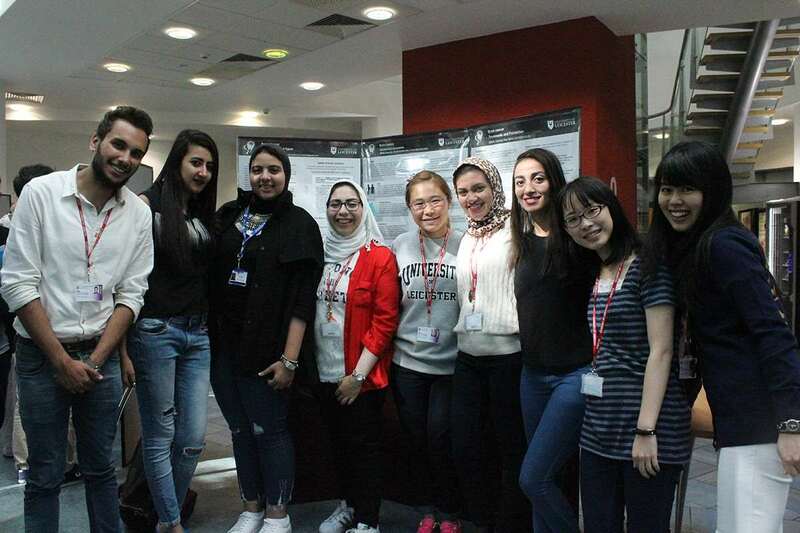 The English Language Centre (ELC) successfully organized a three-week language course at the University of Leicester in the United Kingdom in summer 2017 for the third year. 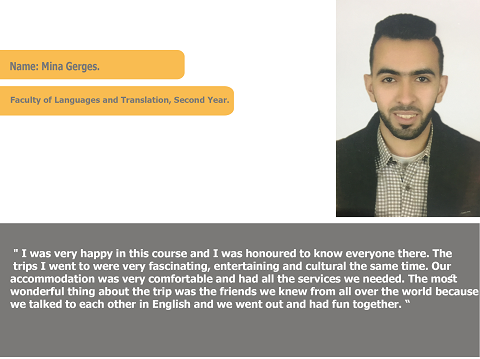 The course aimed at PUA medical students and general English students from different faculties such as: Dentistry, Allied of Medical Sciences, Physical Therapy, Pharmacy, Languages and Translation, Arts and Design and Media. It is designed to improve both general and medical-specific English. participate in all social events available at the time. Press here to learn more about the University of Leicester specialised English Programmes- Students will receive intensive English courses to enhance their spoken and linguistic abilities in either English for Medics, Media or Engineering, and participate in the socio-cultural events integrated within the programme. 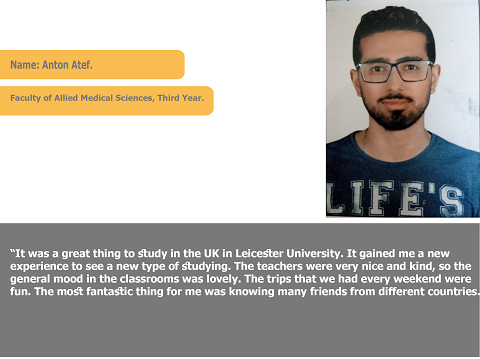 In view of PUA continuous efforts to upgrade its students English language proficiency PUA International Relations Administration in cooperation with PUA English Language Centre proudly announce launching an exclusive package for PUA Medical students to spend 18 days in University of Leicester, UK During the period from 8- 26 August 2016. 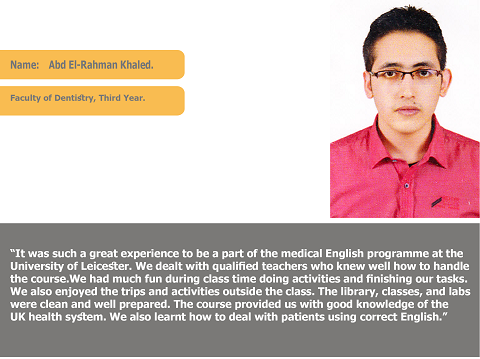 Students will receive intensive English courses to enhance their spoken and linguistic abilities in Medical English, and participate in the socio-cultural events integrated within the program. For information on the program, please Click here . For registration and more information, please contact the English Language Centre: Room D133- First floor, Social Studies and Humanities Building. PUA International Relations Administration and the English Language Centre launched an exclusive package for Pharos University’s students to spend four weeks in Glyndwr University, UK. 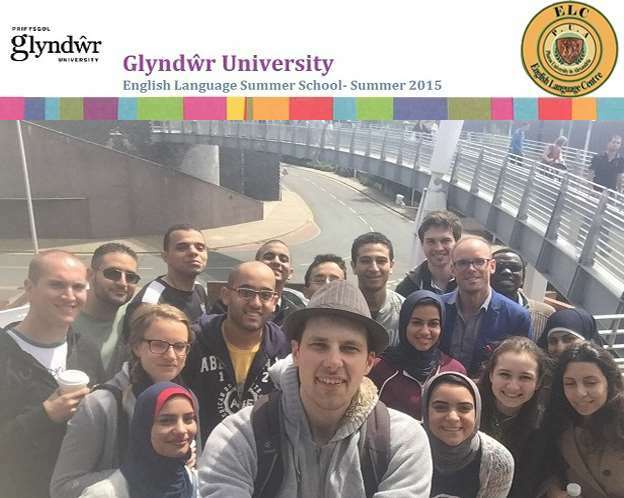 During the four-week program, students received intensive English courses to enhance their spoken and linguistic abilities, and participate in the socio-cultural events integrated within the Glyndwr University program. 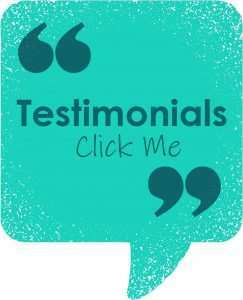 Click to read about the students’ life in Wrexham and to know their feedback. Also, watch a video of our students’real life experience at Glyndwr University.